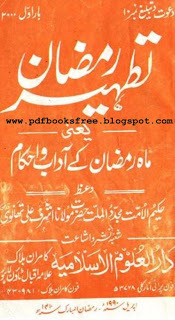 Roza Ke Romoz by Sahibzada Aziz Mahmood Al-Azhari Read online Free Download Roza Ke Romoz book authored by Sahibzada Aziz Mehmood Al-Azhari. This book described virtues and benefits of Ramazan and impact of Fasting on Ethics, Spiritualism, Penitence, Sincerity, Piety, Generosity, Gratitude, Patience and health and fitness in Urdu language…. 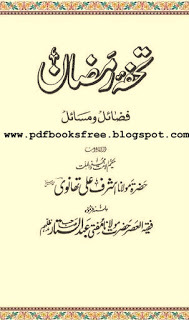 Title name of the book is “Tuhfa e Ramadan” Written by Maulana Ashraf Ali Thanvi r.a. A comprehensive book regarding virtues and issues of the Holy month of Ramadan. Read in Urdu language. Download in pdf format to read offline.